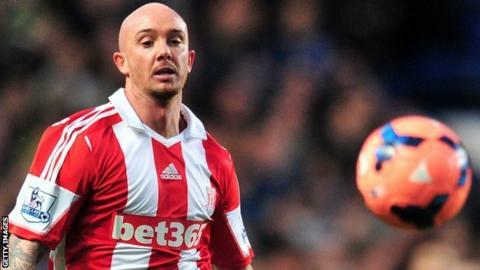 Stoke City midfielder Stephen Ireland has signed a new three-year contract with the club. The 27-year-old turned his season-long loan to Stoke from Aston Villa into a permanent move in January and has now penned a long-term deal. "It's important for every player to feel wanted and to be a part of a family and I haven't had that for a long, long time," said Ireland. "Thankfully I have felt that warmth here at Stoke." Ireland has scored three goals in 25 appearances for the Potters this season and the club are currently 10th in the top flight in manager Mark Hughes' first season in charge. "I couldn't really be in a better place than I am at the moment," added the Republic of Ireland player, speaking to the club's website. "For that, I have to thank the gaffer immensely because he is the main reason why I came here in the first instance, and of course, he is a big factor in why I am delighted to agree this new deal now."